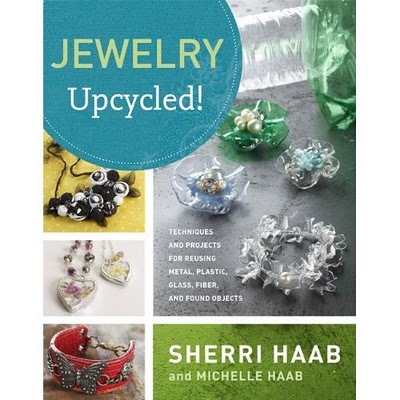 I had the joy to review artist extraordinaire Sherri Haab's newest book, "Jewelry Upcycled!" on ArtBeadScene.com. Click here to read the review! Yes, I read it,sounds like a great book. Wonderful review, the book looks like a good one to buy. I will have to check in to getting one. Have a wonderful day! I read the review the other day, nicely done...the book looks great. Up cycling is something I've been considering for some time...I do it with silver right now by using as much of my "scrap" pieces as I can...just haven't gotten around to doing it with other things yet. great book review, thank you! Want to go freerunning with me? Michelle Mach's Button Blog Hop! BeadFest Wrap-Up -- and Give-Aways!